2K to 10K Betting Challenge continues on Wednesday evening from Kempton Park . The Betting bankroll stands at £2754 (+£754) after the French raider Amade landed gamble in 32Red handicap on 5th January 9-2 into 2-1. Good start to the year ,with nice £270 profit .Stakes increase to £110.00.Moving on to Wednesday we have decent looking 7 furlong handicap from Kempton . 9 runners declared for class three (0-95) 7f handicap on polytrack at 7.00 .This looks quite a competitive little contest .The three main contenders look to be Eljaddaaf , Exchequer & Happy Escape . ELJADDAAF : 8-Y-0 Bay Gelding ,winning 9 out 31 on All Weather .Goes well here at Kempton,winning five times at the track ,including winning 6f class 3 handicap at Kempton in November off mark 93 .Also finished creditable third in 8f class two handicap at Lingfield last time .Will be suited returning to 7 furlongs at his favourite track . 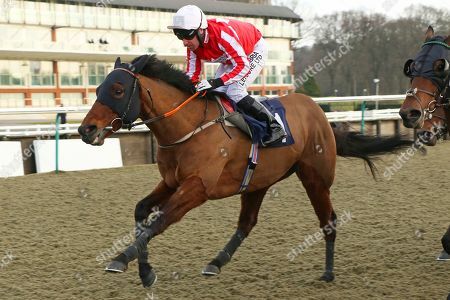 VERDICT :Course Specialist ELJADDAAF should go well returning to Kempton ,after finishing creditable third in stronger race at Lingfield last time,that form looks solid with the fourth Tough Remedy winning C3 handicap next time at Newcastle.Still looks fairly handicapped off 95 ,having won off 2lb lower mark in Novermber.Odds around 5-1 look fair e-way value .